Alissa York's novel is about a man who offers sanctuary for animals and people. 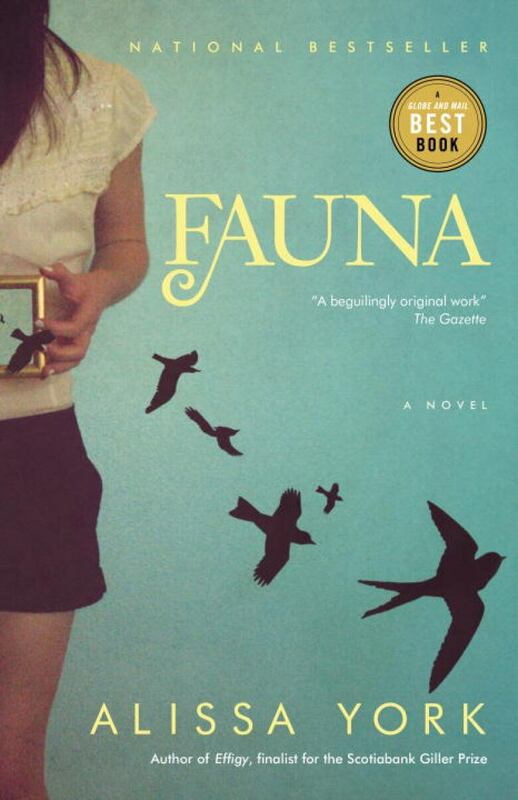 In Fauna, Scotiabank Giller Prize-nominated author Alissa York creates a contemporary human fable that taps into the great tenderness and drama at the heart of the animal world. The wide ravine that bisects Toronto is home to countless species of urban wildlife, including human waifs and strays. When Edal Jones can't cope with the casual cruelty she encounters in her job as a federal wildlife officer, she finds herself drawn to a beacon of solace nestled in the valley under the unlikely banner of an auto-wrecker's yard. Guy Howell, the handsome proprietor, offers sanctuary to animals and people alike: a half-starved hawk and a brood of orphaned raccoon kits, a young soldier whose spirit failed him during his first tour of duty, a teenage runaway and her massive black dog. Guy is well versed in the delicate workings of damaged beings, and he might just stand a chance at mending Edal's heart. He's found another one — she can tell by his low, snuffling wuff. Lily loves the shape he makes, shaggy and substantial, true black against the Canada Trust Tower's glimmering granite wall. She knows a stab of pride. His coat is impressive, even here, in the eerie, aquarium light of the business district before dawn. "Whatcha got, Billy?" Crouching down, she cups the ruched, wet-velvet edging of his lips. His breath is jungly. As she feels up over the points of his teeth, he relaxes his jaw, delivering the small feathered body into her grasp. She drops a kiss on his wet black nose. From Fauna by Alissa York ©2010. Published by Random House of Canada.